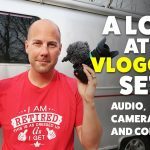 How To Plan Your Epic RV Adventure Course Release!!! Our How To Plan Your Epic RV Adventure Course is now live! In this course, we give you a step by step process to plan your next epic RV adventure. We teach you what information you need, how to find awesome things to do and see, how to make sure your route is safe and how to find those epic camping spots. We provide worksheets, spreadsheets, checklists and more to help you with your planning. We also walkthrough 4 separate full examples of planning an RV adventure so you can work through the process. Last but not least the course includes an invitation to join our exclusive Facebook Community where we will be on hand to help you plan your next adventure! 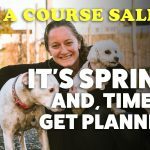 The course is normally priced at $297 (which is a great value for everything included) but for you, our loyal YouTube subscribers we are giving a 70% discount bringing the price down to $89! This offer is only good for 10 days or until 9/22 so don’t miss out on this awesome price! Thank you for all your support through this process. We couldn’t have done it without you! Get 70% off the course here.